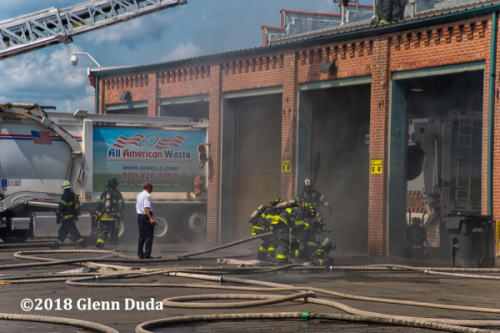 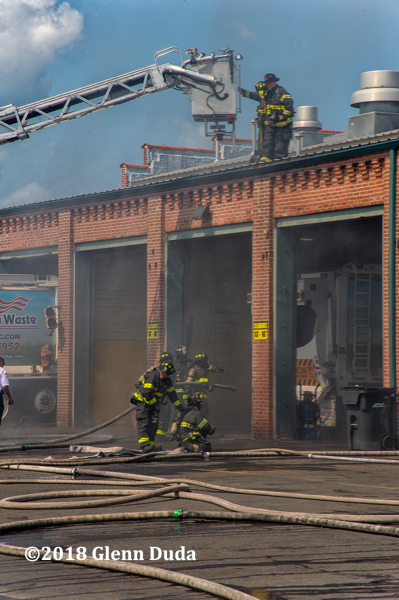 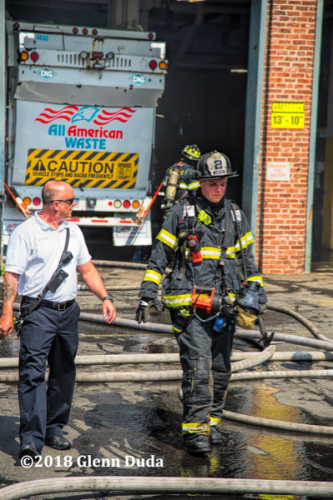 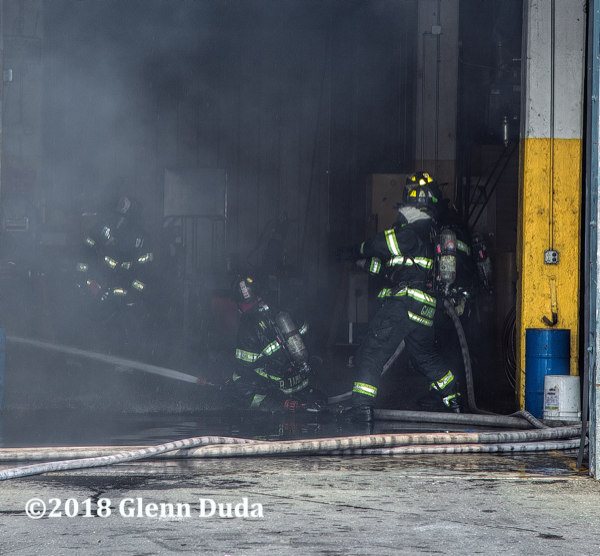 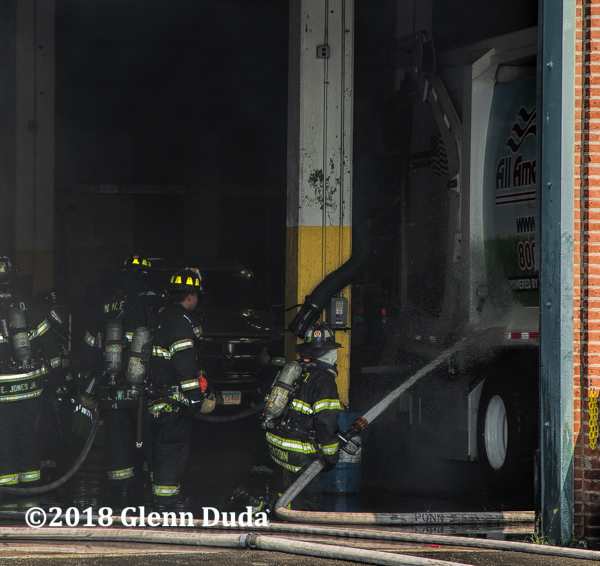 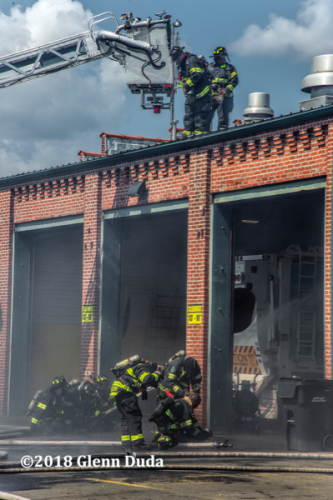 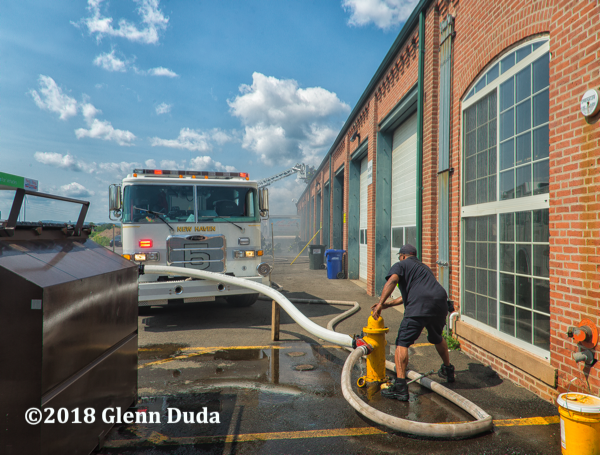 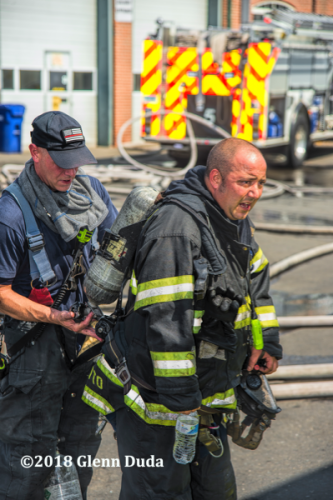 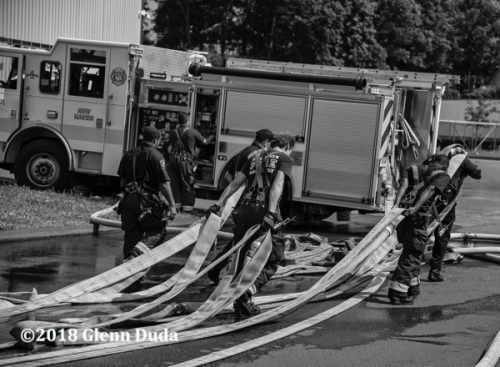 08/15/18 New Haven, CT – A mechanic working on a garbage truck ignited a fire involving the truck in a repair bay. 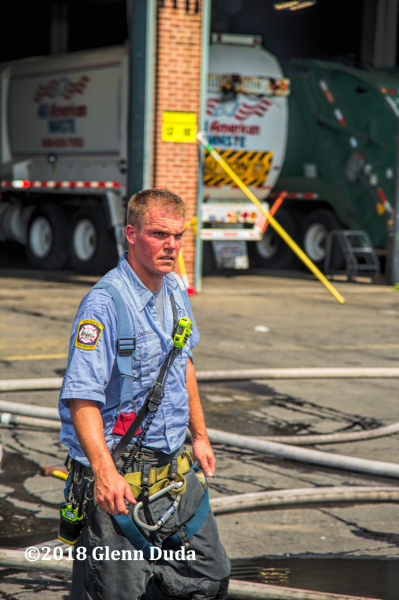 The mechanic was injured with non life threatening injuries. 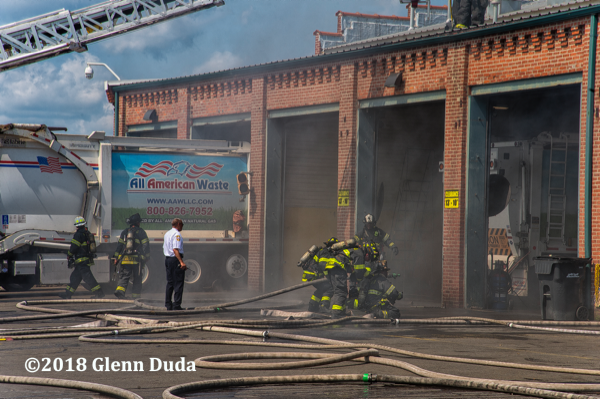 The building was the repair shop for All American Waste. Firefighters were able to keep the fire contained to the truck. 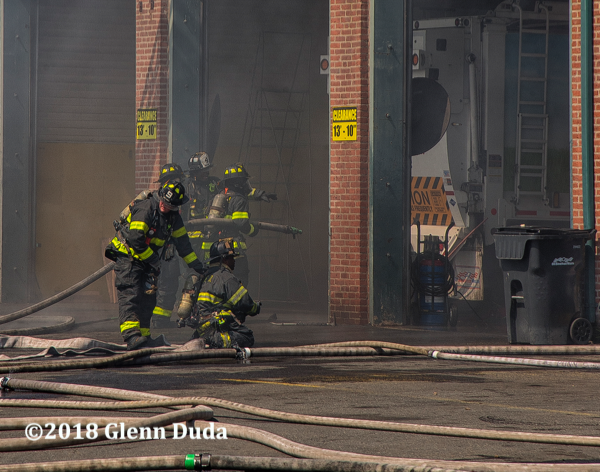 Three hand lines were stretched and operated to keep the fire in check. 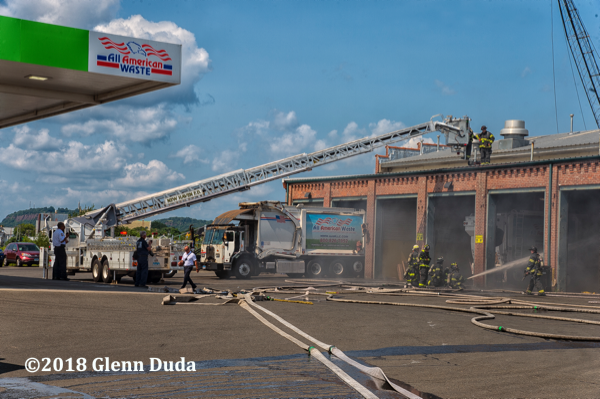 Firefighters had to work quick because the truck was CNG fueled. The fire was brought under control within a half hour.